Lift access from car park . We also have 4 mountain bikes available to rent £20 for all 4 per week . 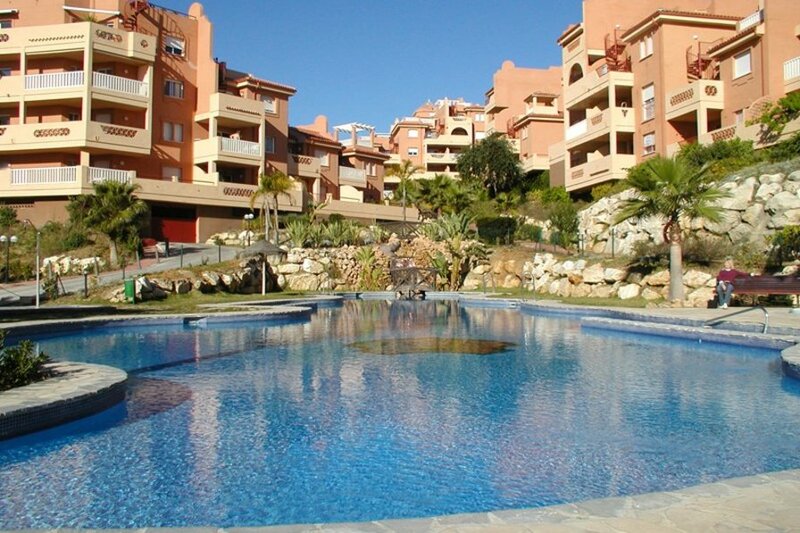 Airconditioned spacious 3 bedroomed apartment , in Reserva De Marbella , sleeps upto 7 . South facing balcony with sea view, so you get full sunny days part of which is covered to get some shade if you want . there is a large selection of DVDs and latest books to help you have a good stay . Complex has 3 pools and lifeguard Walking distance of local bars/restaurants , bank and supermarket . We also have 4 mountain bikes for hire £20 per week all 4 payable seperate . Walking distance to cabopino beach and 10 minutes drive to centre of Marbella . We have recently added mattress toppers ( IKEA)to ensure beds are comfortable and you have a good nights sleep , just the way we would expect in a posh hotel . IF YOU WOULD LIKE TO BOOK/ RESERVE DATES , SEE LATEST PRICES/ TOTAL HOLIDAY COST ,AND DEPOSIT DETAILS , PLEASE USE WEBSITE INSTANT BOOKING FACIITY, APARTMENT CAN BE INSTANTLY RESERVED FOR 24 hours whilst you enquire about flights so not worrying about availability..